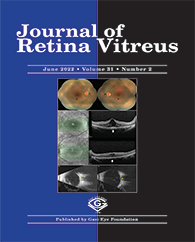 Is Serum Endocan Levels Important in Branch Retinal Vein Occlusion? 2Yrd. Doç. Dr., Ahi Evran Üniversitesi Tıp Fakültesi, Biyokimya Ana Bilim Dalı, Kırşehir, Türkiye Purpose: We aimed to compare serum endocan levels in branch retinal vein occlusion (BRVO) patients and control subjects. Material and Methods: This study was conducted on 33 BRVO patients and 32 control subjects as a cross-sectional case control study. Serum endocan levels were measured using an enzyme-linked immunosorbent assay. Results: The mean age, gender distribution and body mass index were similar in the two groups with no significant difference (p>0.05). Serum endocan levels were 34.11±11.33 ng/mL in the BRVO patients and 32.34±8.86 ng/mL in the control group (p=0.487).